What do unicorns, dinosaurs and planets have in common? Creating a Kickstarter Promo film! Last year I was approached by Artywren - they are a manufacturer of children’s clothing and were looking to put together a quirky promotional film for use on Kickstarter. From the moment I spoke with the clients I was in love with their products and their company ethos. The idea behind Artywren was to create clothing designs that are gender neutral, with dresses and shirts available of each theme. They had several different themes including ‘Outer Space’ and ‘Prehistoric’, and the shirts were very environmentally aware - so much so that you could plant the clothing tags they came with and a plant would grow! I was tasked with showing off the clothing and bringing their designs to life. I filmed at several locations in the spring, making most of the sunlight we were lucky enough to have throughout the shoot. 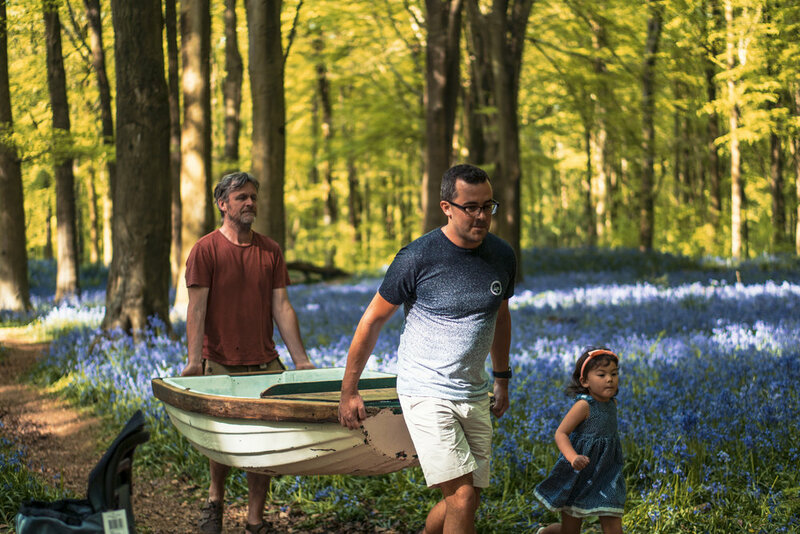 Filming two children ‘sailing’ through a bluebell forest looking for treasure is an experience I won’t forget, the whole shoot had an element of magic to it that I tried to capture. Reviewing footage in camera with my amazing clients! Bringing their designs to life in After Effects was fun - I motion tracked each shot and then overlayed my animated versions of the designs in 3D space to allow the children to interact with them and again help bring to life the idea of a magical world of imagination. The clients were over the moon (yes, almost literally) with the end video and I think of it as one of the most fun projects I’ve worked on in recent years. There were two versions created - one for promotional purposes and another Kickstarter only version which had a piece to camera from the clients discussing raising funds. I’ve uploaded the promotional version (to keep the clients happy!) for you to take a look at. I’d love to hear your thoughts or comments below!